The winter time in Tampa Bay provides some great speckled trout fishing! On recent fishing charters out of Saint Petersburg we have been catching good numbers of them ranging in size from 12-24 inches. During this time of year it is not uncommon to find these fish congregated into big schools trying to stay warm. 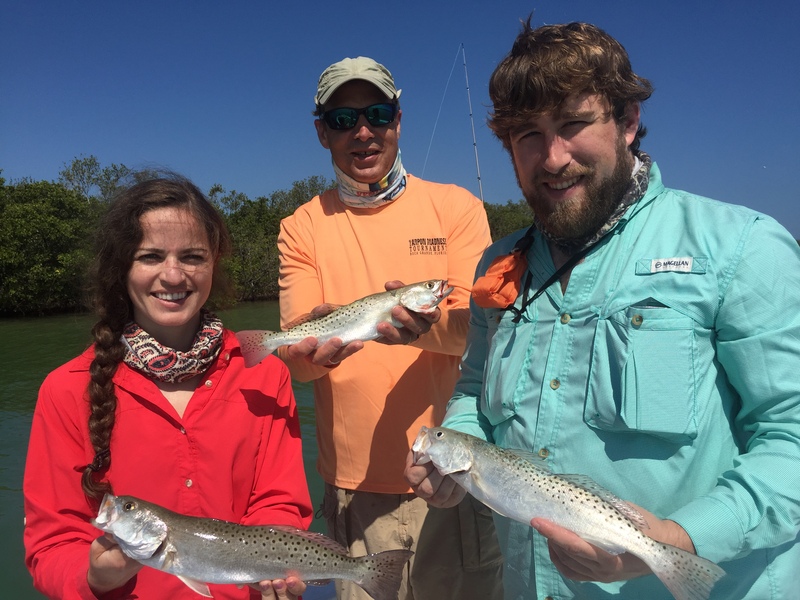 Whether you are fishing deep dark canals or targeting the potholes on the flats of Tampa Bay, Trout offer some great action and table fare. The bait of choice has been live shrimp fished near the bottom. Get out and enjoy an action packed day on the water with YACHTFISH Fishing Charters out of Saint Petersburg.